Serie A, or Serie A TIM as it’s currently known due to sponsorship, has technically been in op-eration since 1898 and is one of the oldest leagues in world football. It had an usual format at the beginning of its life, however, with the round robin type format we all now know and love coming into effect for the 1929-1930 season and remaining in place ever since. 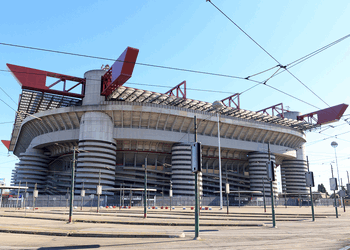 On this page you can find information about how Serie A works, what its history entails and about the sort of grounds you’ll find in use across the division. Try to contain your excitement. Please note: The data for this league is still being collected. Please bear with us. Inter Milan 1908 I Nerazzurri (The Black and Blues), La Beneamata (The Cherished One), Il Biscione (The Big Grass Snake) " Suning Holdings Group, International Sports Capital, Pirelli Suning Holdings Group, International Sports Capital, Pirelli"
Napoli 1926 Partenope, Gli Azzurri, I Ciucciarelli Filmauro S.r.l. 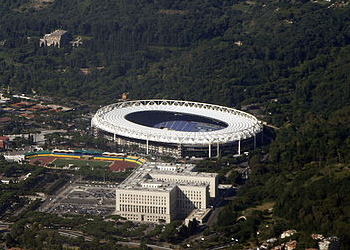 Unlike La Liga, the Bundesliga and the Premier League, Serie A only contains a couple of truly spectacular stadiums. 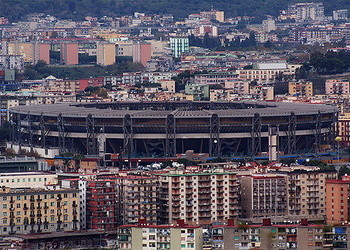 The San Siro in Milan and the Stadio Olimpico in Rome both have capacities of over 70,000 with the rest of the division average at half of that. The different types of stadiums lend the league a unique feel, with teams liable to play in a colossal venue one week before finding themselves at a small, close-knit ground the next. 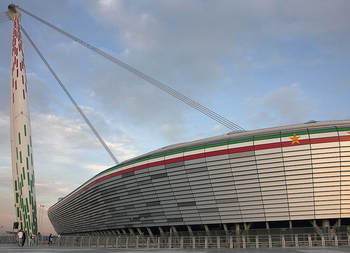 The mixture of new money being used to build some exciting new stadiums and the older, more traditional grounds that you’ll find at clubs involved in Serie A is a fun and interesting one. Some grounds are all-singing, all-dancing affairs with the bells and whistles you’d associate with the best stadiums in the world, whilst others don’t have all of the mod-cons but have a charm and old-word quality that you could put alongside the best Italian architecture. 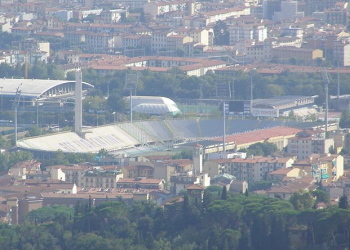 Much like with a lot of the stadiums in La Liga, a number of Italian grounds have taken ad-vantage of the country’s excellent climate and forgone the need to have a roof at all. It can give the impression of a small, squat ground when compared to some of the more intimidating affairs you’ll come across in the Premier League. Whatever else you might expect from Italian football, the vari-ation of stadiums is an exciting and interesting addition to the game in general. The majority of Serie A’s history saw either 16 or 18 clubs compete for the title, with the current use of 20 clubs introduced from the 2004-2005 season onwards. Much like in other leagues where 20 teams compete, each club players each twice, with one game at home and the other way. That equates to 380 games played in total over the course of a season. Unlike some other leagues, however, the Italian system sees the season split into two and played as a mirror image of each other. The first half of the season, called the andata, sees each team play 19 games as they face each league opponent once. The second half of the season is named the ritorno and sees the fix-tures played out in exactly the same order as during the andata, with only whether or not the team plays home or away changing. Much like the Premier League, La Liga and Ligue 1 in France the winners of any given match are awarded three points, the losers zero and any match that is drawn sees both teams awarded a solitary point. The top three teams in Serie A are rewarded with Champions League football, with the top two clubs going straight into the group stages. The third team is invited to take part in the qualifying rounds and needs to win a two-legged match in order to make it to the group stage. The teams that finish third and fourth go into the UEFA Europa League alongside the winners of the Coppa Italia. The three teams that finish in the bottom three places of the league are relegated to Serie B.
Serie A has been in existence since 1898, with the competition originally organised into regional and interregional rounds. This changed in 1929 when the competition as it is currently set-up came into being, though it only had eighteen teams to begin with. Between 1934 and 1942 this shrank to sixteen clubs before being expanded back to eighteen clubs from 1942 until 1946. Between 1946 and 1952 twenty teams competed for the title, with the notable exception of the 1947-1948 season when 21 clubs did. 1952-1967 saw a return to the eighteen club format, then sixteen clubs compet-ed in Serie A from 1967-1988. Between 1988 and 2004 it went back to eighteen clubs and the title has been competed for between twenty clubs ever since 2004. Scudetto is Italian for ‘small shield’ and it is the nickname given to the Serie A Championship. This came about because the winning team of the league gets to have a coat of arms featuring the Italian tricolour on its kit the season after they have won it. The team that has enjoyed that honour the most is Juventus, the most successful club in Italian history. Serie A is not lacking in successful teams, of course, with Juve joined by AC Milan and Inter Milan as some of the most successful teams in world football. All three were founding members of G-14, a group that represented the in-terests of the most prestigious clubs in Europe. In 2009 Serie A officially split from Serie B over a row regarding television rights. Teams still move between the two divisions owing to relegation and promotion, but they are no longer consid-ered to be part of the same entity. Winners of Serie A are presented with a trophy, known as the Coppa Campioni d’Italia, on the pitch after the final game of the season. The trophy itself has actu-ally been used since 1960, but until 2004 it was kept at the head office of the Lega Nazionale Pro-fessionisti. Serie A has had its share of controversy over the years, with 2006 being one of the most nota-ble years in recent history. A series of allegations emerged that some of the top teams, including Lazio and Fiorentina, were bribing officials in order to ensure that they got a favourable referee to oversee their game. The findings resulted in Juventus being stripped of their 2005-2006 title and relegated to Serie B for the following season.